The fifth edition of Montreal's Mural Festival finished Sunday, leaving more than a dozen new art pieces in its wake. The annual event runs from June 8 to 18 and brings street artists together from around the world. The 10-day affair features free outdoor concerts, an art fair and guided tours. 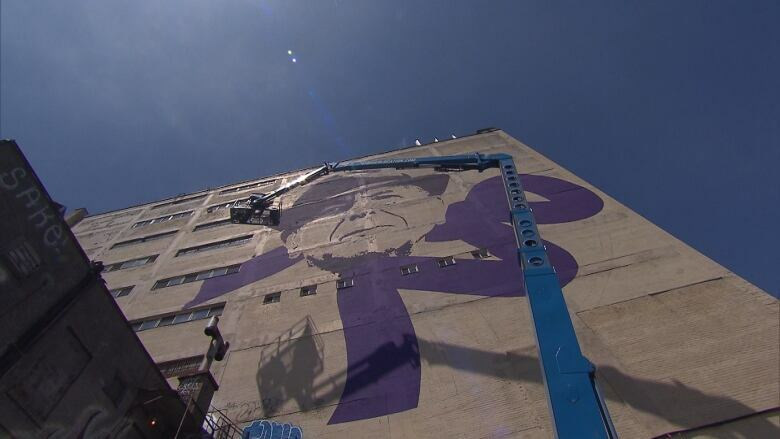 Many Montrealers out and about over the last two weeks have captured images of the murals in progress, with artists hard at work atop cranes. 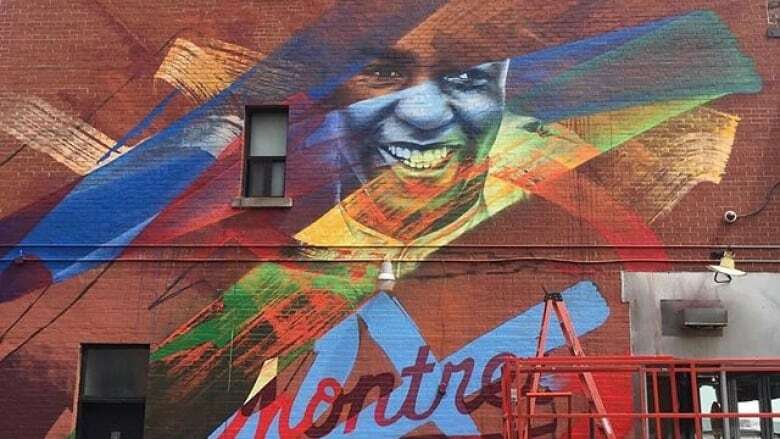 Some of the new pieces of art act as an homage to famous musicians and athletes who made a lasting impression on Montreal, namely baseball superstar Jackie Robinson and legendary singer-songwriter Leonard Cohen. The mural depicting Cohen was created by Montreal artist Kevin Ledo. He told CBC that he planned out the portrait by photographing the wall, doing a design and then using the existing lines and features of the wall as his grid. "I'm happy that it's becoming a public celebration of Leonard Cohen," he said. Robinson always spoke fondly of his time in Montreal, even though it was short-lived. At a ceremony to honour Robinson's legacy in 2013, Montreal Mayor Denis Coderre saluted Robinson for opening the door to other black players in the MLB. "He was just here for a year, but what a year," Coderre said at the time. "We won the World Series. But it was more than that." For the first time this year, the festival also expanded into parts of Old Montreal, partnering with the local merchants association. The third annual Mural Art Fair was held at the Marché Bonsecours last weekend. The festival hopes to continue expanding, aiming to be one of world's largest urban art happenings. The lineup of artists featured a mix of top-tier Quebec, Canadian and International talent including Ron English (USA), Fintan Magee (Australia), Fluke (Canada) and Miss Me (Montreal). Many of the new several-storey high pieces of art gracing Montreal's landscape will stay up all summer long and beyond.